Your local dollar store is a great place to find all sorts of items that are perfect for decluttering. 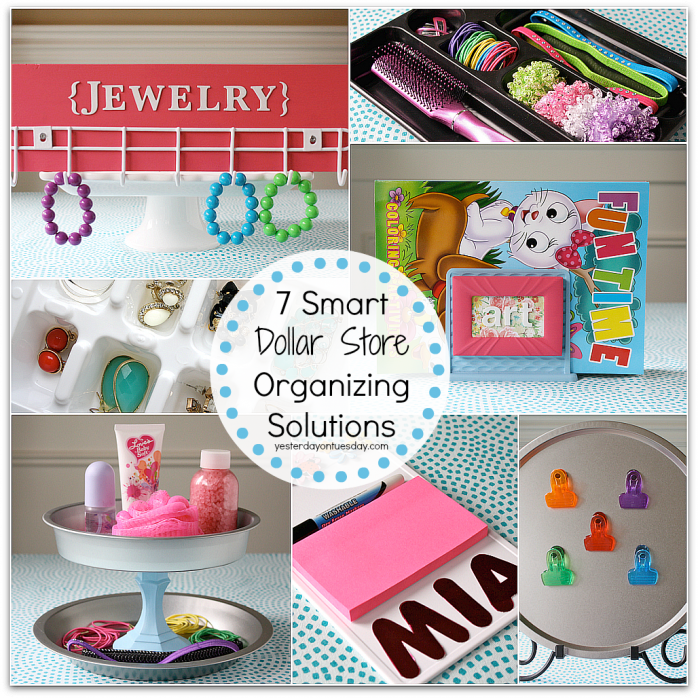 With a few simple add-ons (of things you probably already have), you can transform your frugal finds into smart dollar store organizing solutions. 1. 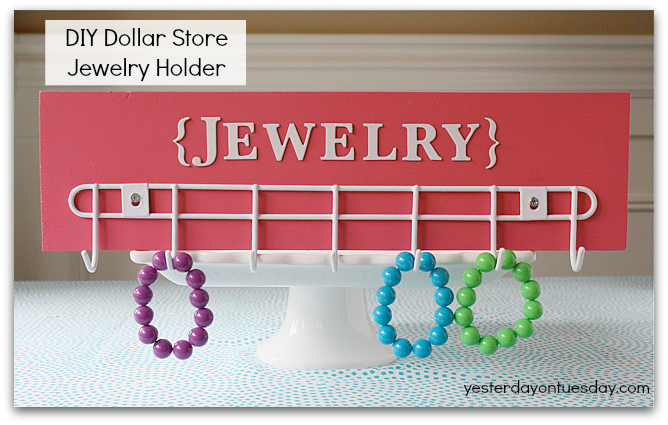 Grab a wire rack from the dollar store, a piece of scrap wood (mine is 5″ x 18″ x 1 3/4″), some acrylic paint, and letter stickers. 2. Give the wood 3-4 coats of paint, allowing time for each coat to dry. 3. Screw rack onto wood. 5. Hang your jewelry on the hooks for easy access. 1. 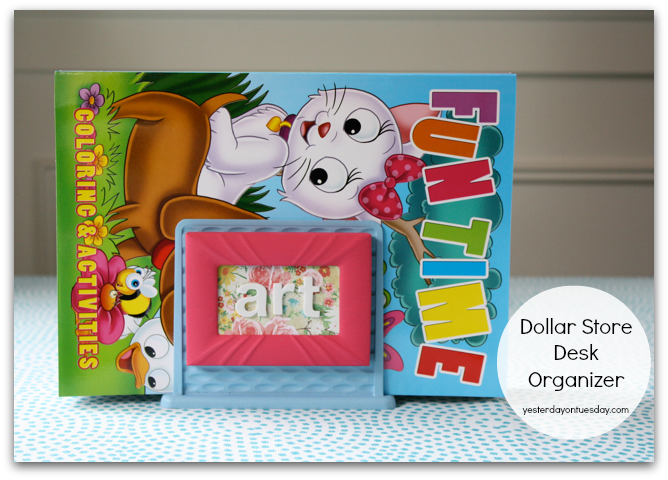 Gather a plastic napkin holder and a small picture frame from the dollar store. You’ll also need spray paint, acrylic paint , scrap paper, letter stickers and hot glue. 2. Spray paint the plastic napkin holder. 3. 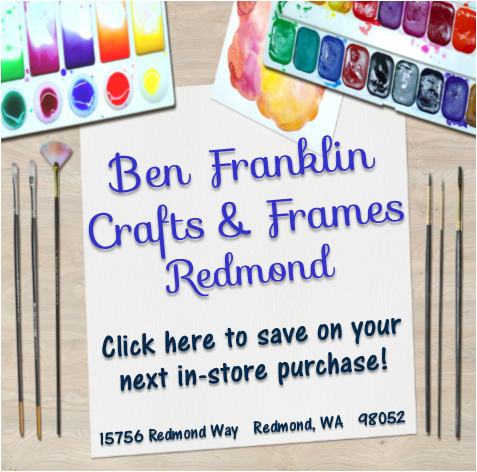 Paint the frame with acrylic paint (2-3 coats). 4. Remove the glass and back of frame. 5. Add scrap paper and letter stickers. 6. Use hot glue to attach frame to holder. 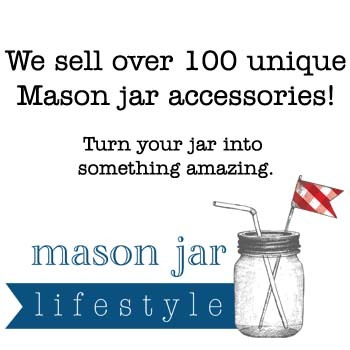 It’s great for holding coloring books or magazines! 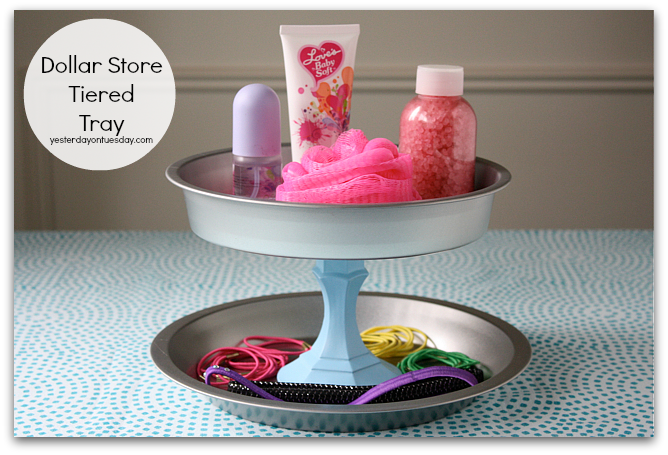 Repurpose a plastic desk tray into a chic Hair Accessories Tray. 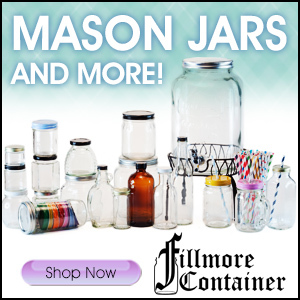 It’s got the perfect compartments to hold a brush, headbands, ponytail holders and more. 1. Pick up a metal pizza pan and a package of chip clips at the dollar store. 2. 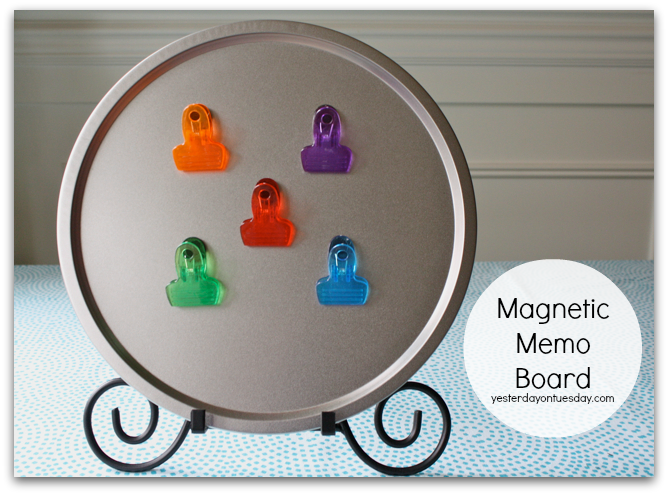 Use hot glue to fasten magnets to the back of the clips. 1. Get a cake pan, a pie pan and a candle holder from the dollar store… and add your own spray paint and glue (I used E-6000). 2. Spray paint the candle holder. 3. Glue the tins pans to the candle holder. 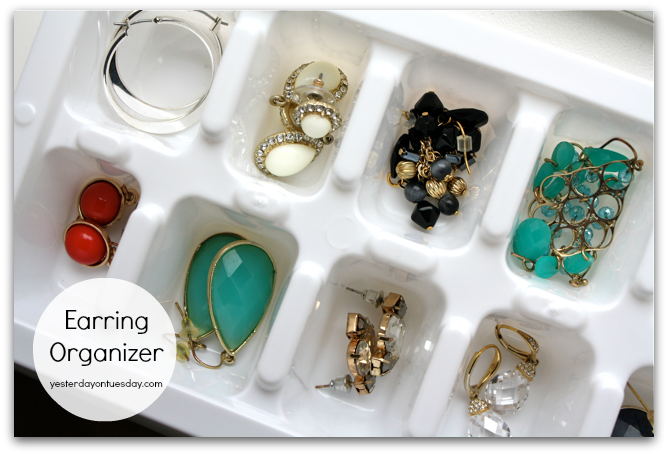 Repurpose an ice cube tray into an earring holder… it will keep your baubles neat and tidy. 1. 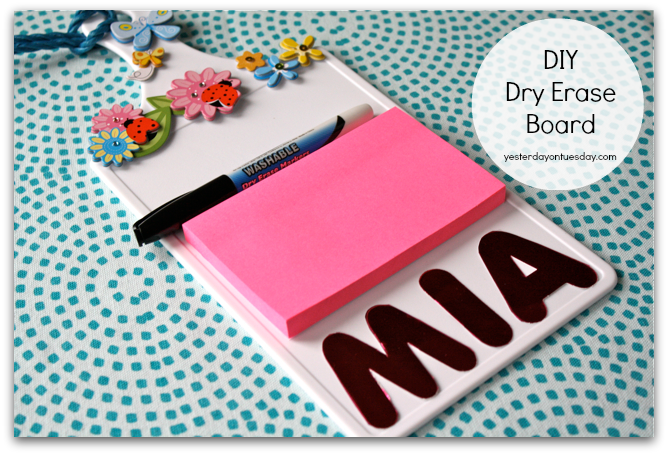 Snag a plastic cutting board, sticky note pad, die cut letters, stickers, rope and a dry erase marker from the dollar store. 2. Use die cut letters to make name, secure with tape. 4. Place stickers on the top to decorate. 5. Loop rope through to make a hanger. 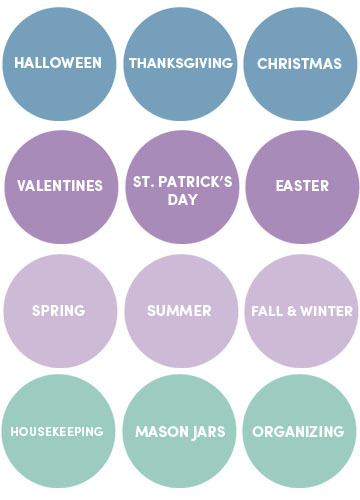 For more FABULOUS organizing and spring cleaning ideas, visit Hometalk, and use the hashtag #springcleaning. 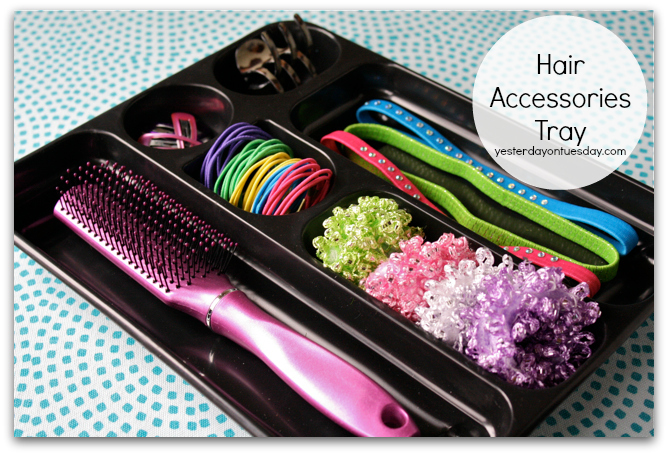 Clever organizing solutions! I especially love the jewelry hanger and the post-it not cutting board. Love that they don’t cost and arm and a leg and they are super cute. Thanks for the awesome ideas!! 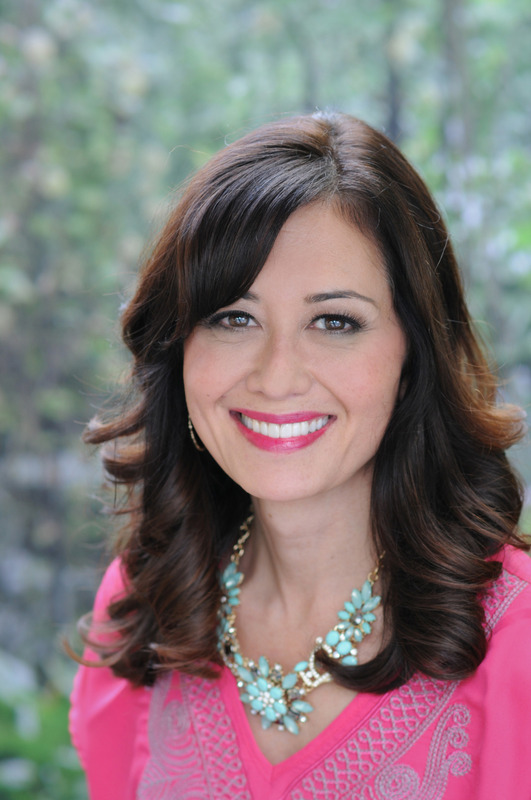 Thanks Crystal… you are the best! Hope you have a happy week! These are all such good ideas! 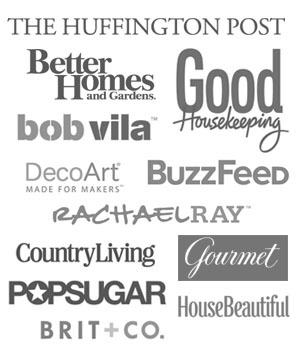 I love how inexpensive they would all be to make, but they are all extremely useful to have. I love all of the buckets and baskets from the Dollar store to organize with! Thanks for your ideas and tips! I’m always losing an earring, perhaps I should try this! You are so amazing Malia, you never stop coming up with great ideas and ways to save us money. Thanks for sharing as always. I always love seeing how creative others can be with Dollar Store goods. Thanks for the awesome ideas!